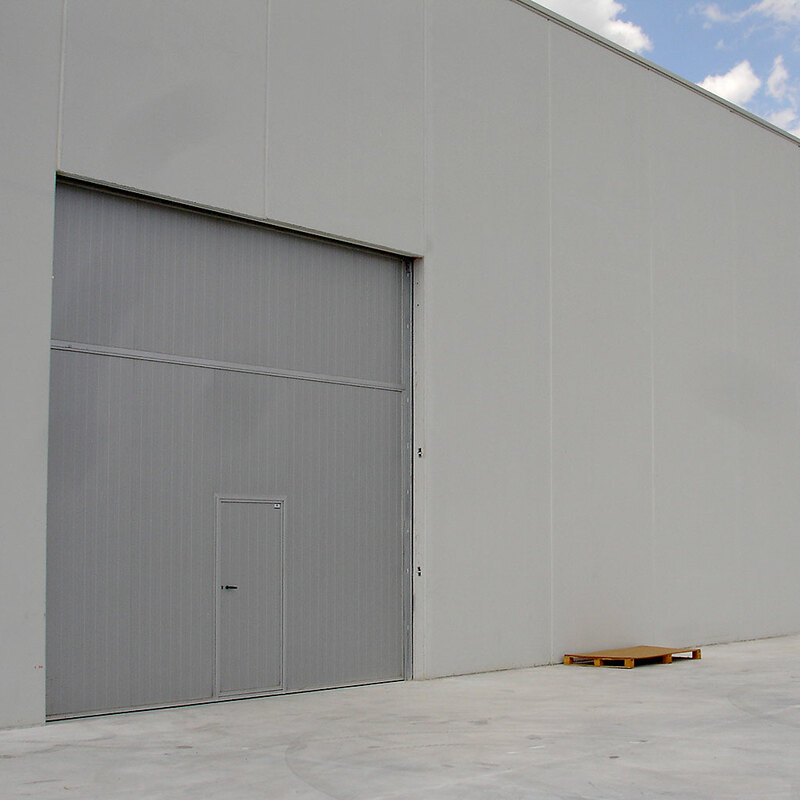 Sectional doors offer the possibility of having more space, both outside and inside the building. This is because not having to swing the door permits every millimetre of space to be used. The doorway is left completely open, both widthways and lengthways. For residential use, we offer different panel thicknesses (20, 40 and 45 mm), which provide different levels of acoustic and heat insulation, in addition to a range of finishes and colours. They are suitable for covering openings of up to 5,500 mm wide and 3,125 mm high. There are different types of guide, depending on the needs of the facility: standard lintel, short lintel, roof inclination adaptation kit, etc. For industrial use, a wide range of thicknesses is available (40, 67, 80 and 100 mm), depending on the door’s purpose (e.g. warehouse, storage chamber or cold room), with different colours and finishes. Available to cover large openings, with different types of guide, depending on the needs of the facility: standard lintel, short lintel, high lintel, guillotine, etc. All models can include glass panes, which can be inserted into any of the panels, to allow natural light into the facility. A pedestrian door can also be incorporated into the main door, or connected to it, with the same design. Manual and motorised operation, with automatic parts based on dimensions and weight. 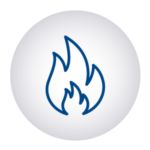 Also available for facilities requiring fireproof sectional doors, with different fire resistance ratings: EI2 60, EI2 90, EI2 120 and EI2 180. 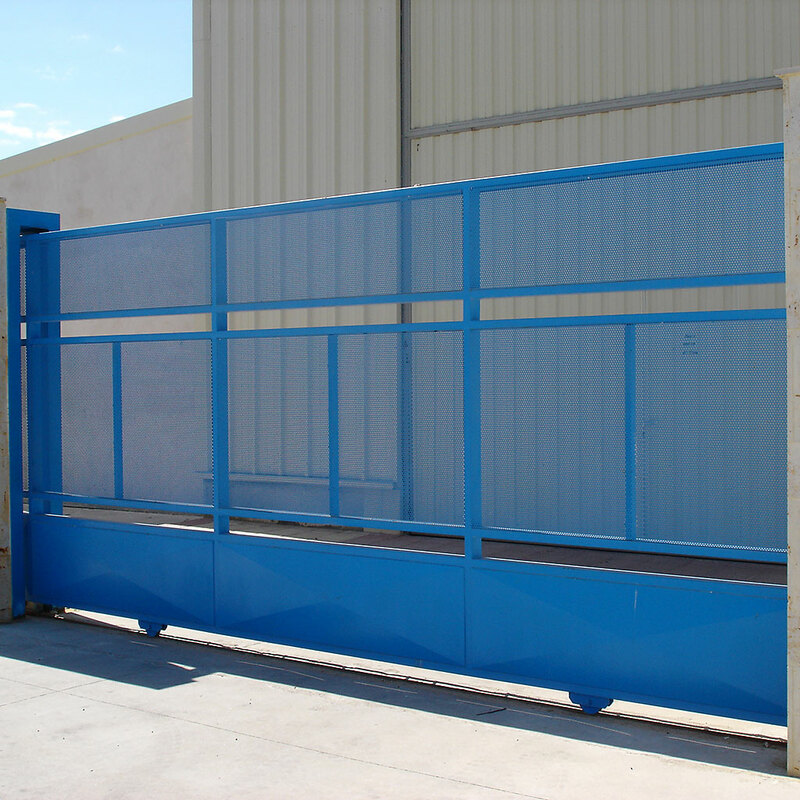 Sliding gates and doors can be used for openings in fencing, garages and indoor facilities. They are available for all types of space, including industrial premises, warehouses, schools, properties, residential complexes and detached houses. We manufacture in accordance with the customer’s requirements and in harmony with the enclosure. Finishing options include blank, barred, slatted and with wood inserted. A pedestrian door can be incorporated into the main sliding door, or connected to it, with the same design. Also available for facilities requiring fireproof sliding doors, with different fire resistance ratings: EI2 60, EI2 90, EI2 120 and EI2 180. 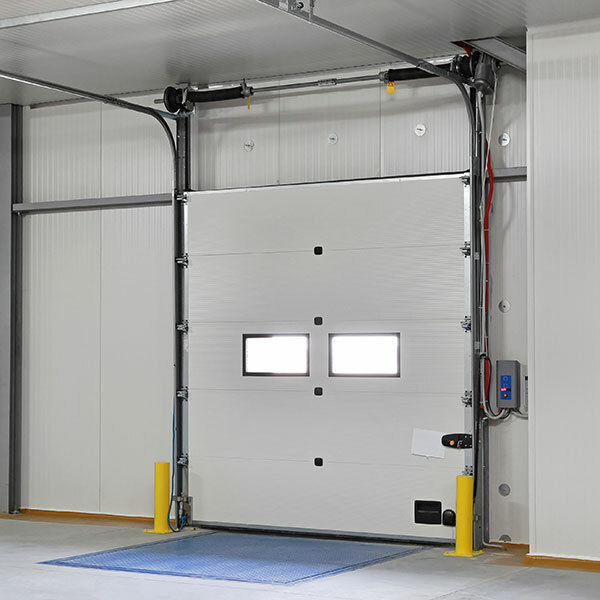 Up-and-over doors are suitable for openings in industrial premises, warehouses, and garages in residential complexes and detached houses. They are very robust, which allows for intensive use. 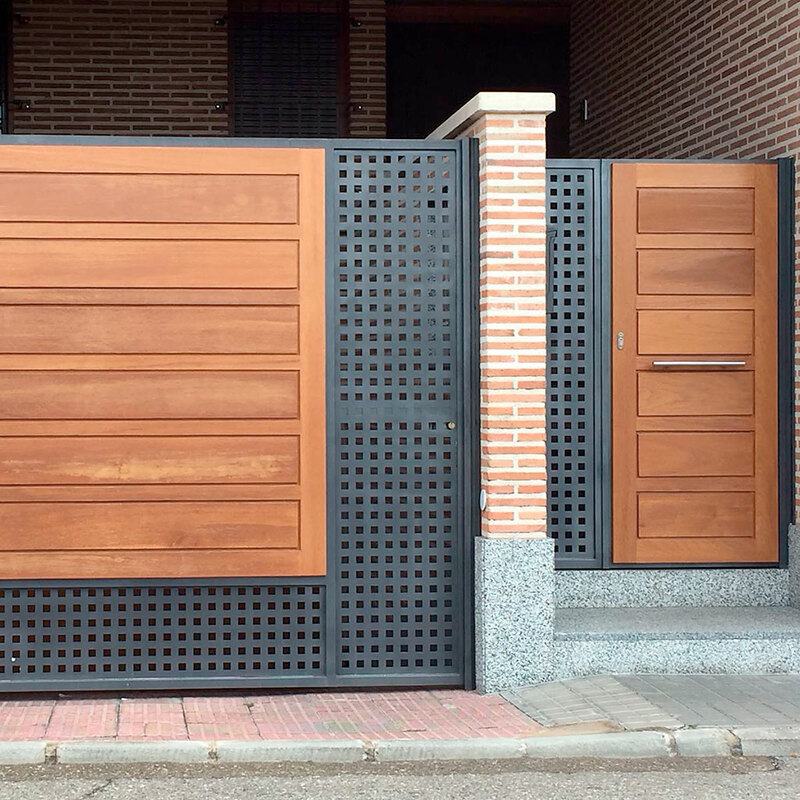 We manufacture in accordance with the customer’s instructions, using sheet metal or panels, and always including the necessary safety measures for this type of door, such as hand protectors and anti-drop devices, which are activated if the steel cable breaks. Single and double side-hinged doors and gates are available. They are fully recommended for openings in properties, industrial premises, residential complexes, private homes and other uses. Available in the material the customer requires. Options include sheet metal, bars, sandwich panels and wood insertions. A pedestrian door can be incorporated. 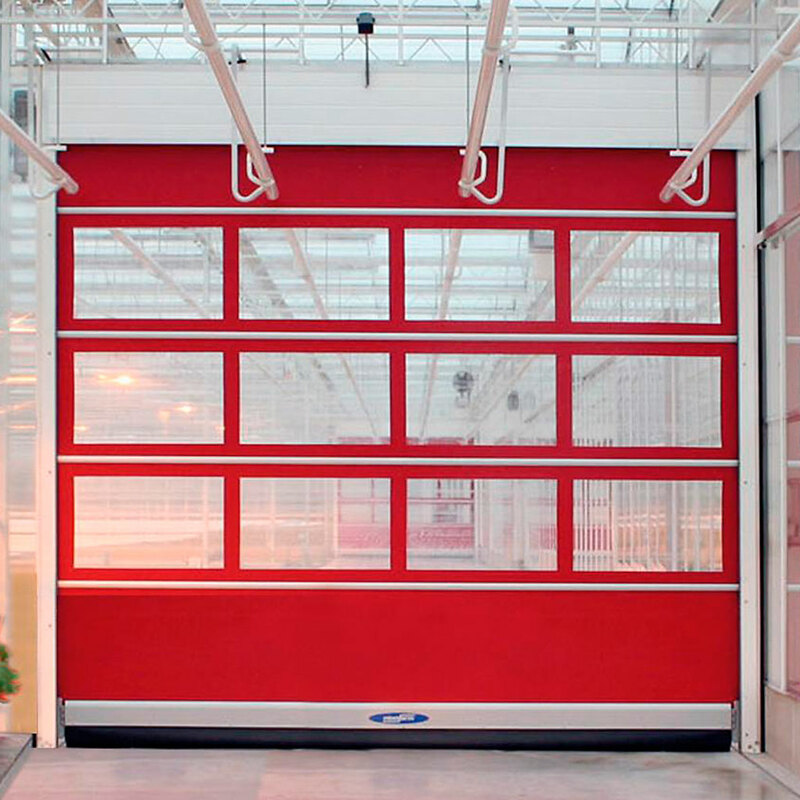 Fast-action doors are ideal for high transit areas in industrial properties, warehouses, logistics companies, food companies and similar. They keep the door open for the shortest possible time, to avoid temperature losses from inside the facilities. Different versions are available depending on use and size, including roller doors, folding doors and flexible doors. There is a wide range of panel colours and thicknesses, and the option to have a transparent strip inserted. For installations in the food industry or in corrosive environments, a version is available where the guides are manufactured in stainless steel. 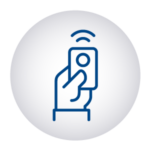 They are always motorised, with different opening systems available, including manned, remote control, magnetic strip, leather strip and others.